...for comments, critique's and advice from friends, family and an amazing community of photographers located throughout the world participating in daily photos! Gearing up for the soon to be hummingbird flurry and finally processing some of the shots from last year. I've been reviewing settings and such hoping for some great shots this year. I liked how the light was perfect behind this little guys head and along his back... even though his tail was soft. I'll be adding to the hummingbird gallery over the next few days but there's 8 in there now if anyone wants a look. A beautiful catch of this tiny bird. We get only the Ruby-throated HB here too...my goal this year is to get ONE good shot of them. Yours is beautiful! Love the light too...really nice shot Cynthia!! nice shot !like that halo around ! they move pretty fast, I remember using a shutter speed like 1/2500 or some to stop them ! P.S. 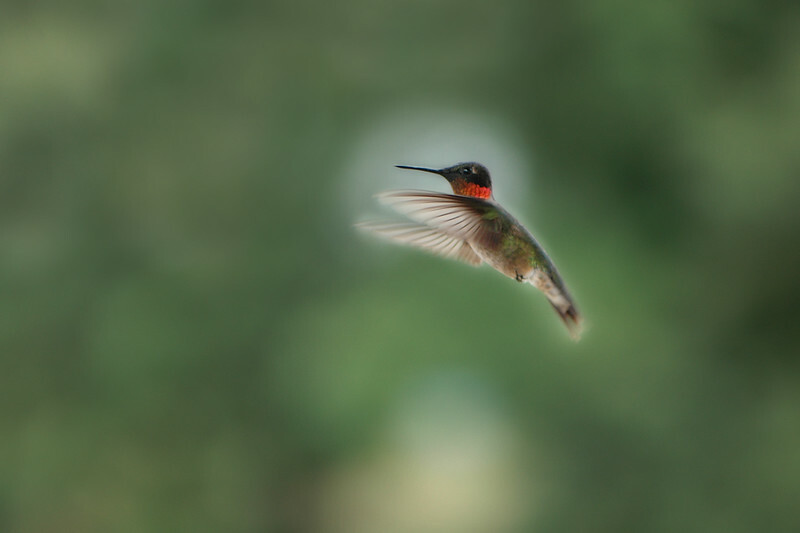 I usually use aperture priority as wide open as possible with hummers. I like the halo effect around the hummer. Did he whistle at you? The males around here are really aggressive and they whistle fiercely at me, sometimes they even dive bomb me. Very pretty, looking forward to seeing them again.